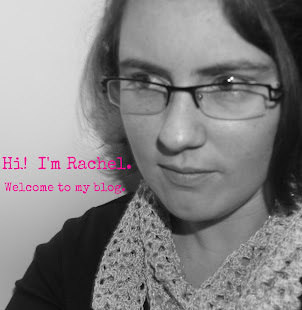 I just love their shop! They have such beautiful pieces! What a great store, I love opals too, since I was also born in October! This work is beautiful! I would love to win! I would like to have the sterling infinity ring. The Copper Ruffled Leaf Earrings are very pretty! I like the birthstone pebble necklace!! I like the simple silver bands and the stackable bands are adorable too! Really beautiful items. I really like the heart ring and the birthstone pebble necklace was nice too. I like the Ruffled Leaf Earrings. I love the Sterling Silver Pearl Earrings. Such a unique design! I like all the stackable rings. My favorite was the Sterling Silver Twisted Rope Ring. Very cute! 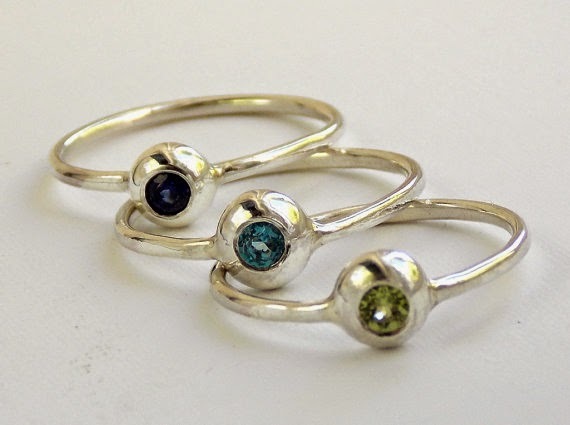 I absolutely love the Set of 3 Pebble Birthstone Rings in sterling silver. 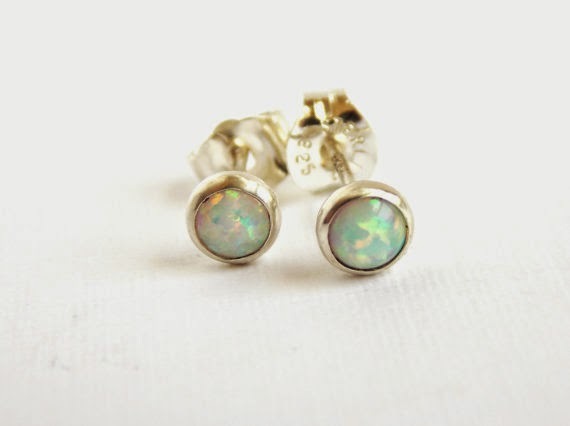 Beautiful opal earrings, my birthday is also in October. I really liked the rings, especially the Simple Gold-filled Domed Ring: 14K gold-filled, domed ring, plain ring, gold ring, rose gold ring, wedding band, domed band, matte, polished. I like the Tiny Rope Birthstone Ring. It's very pretty. It's really hard to choose a favorite. I really liked the silver band with the heart cut out. Simple and cute! I love the heart necklace. Your use of simple lines creates some really beautiful pieces. love the rose cut white topaz! I love the opal stud earrings and the infinity knot ring. 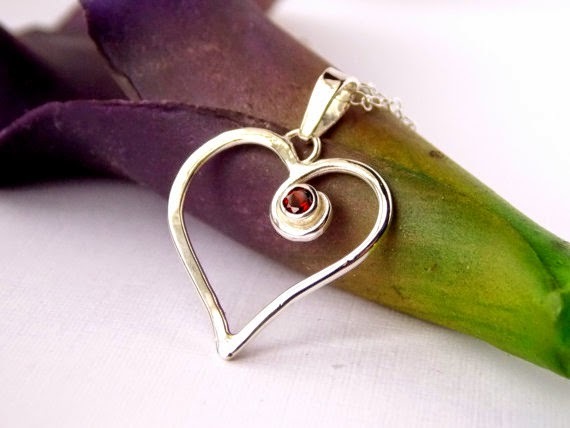 I like the Always in my Heart necklace in sapphire. The faceted rose gold ring is such a lovely, delicate texture! Those little booties are so cute! 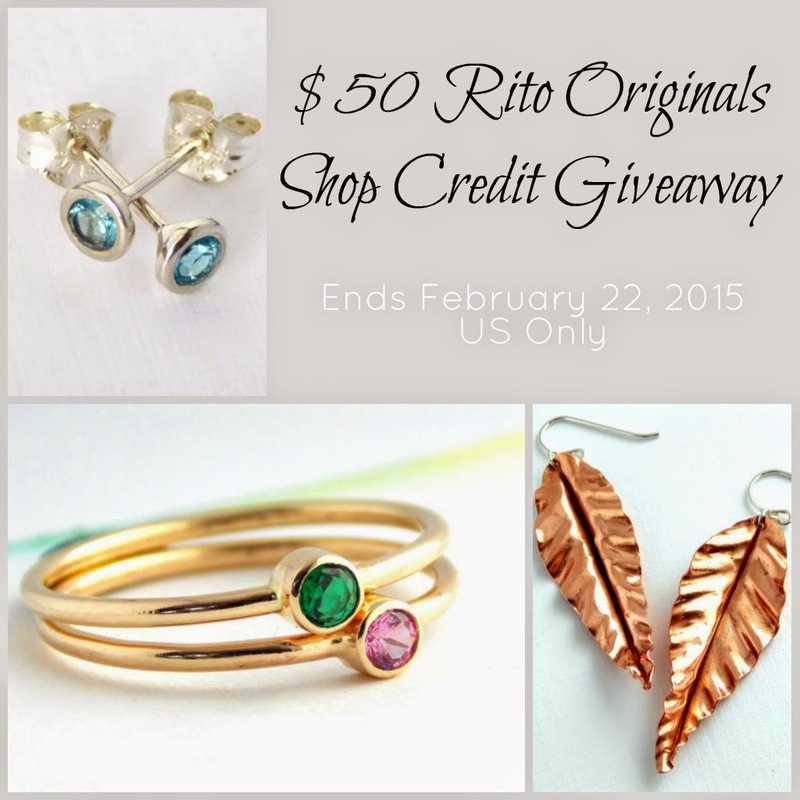 just popped over and visited Rito etsy page, what beautiful jewelry pity I'm too far away to join in the give away! I like the Oxidized Crown Ring. The Rose Gold Infinity Knot Ring is gorgeous! Something that caught my eye is the Dainty Beaded Birthstone ring. I love the Infinity Knot Ring in sterling silver. Beautiful, dainty jewelry. I'm not into big baubles...so this is right up my alley. Love it! I love the Infinity Knot Ring! I really like the Mini Flower Post Earrings: sterling silver, copper flower, dainty earrings, blossom earrings, dainty studs, flower studs, flower posts!!!!!!! I love the Princess Cut Engagement Ring! I also love the Wide Band Unisex Ring: sterling silver ring, silver ring, wide ring, wedding ring, wedding band, men's wedding band, men's ring, white topaz. The Stacking Reflection Rings are lovely too! I like the Sterling Rose Cut Stud Earrings: post earrings, simple earrings, stud earrings, dainty earrings, small earrings, rose cut topaz, rose quartz. I think that the Set of 3 Pebble Birthstone Rings: stackable birthstone ring, stacking ring, silver ring, sterling silver ring, Mother's Day ring is really nice. The Simple Birthstone Ring 14K Yellow Gold-filled ring caught my eye. I really love the Small Sterling SIlver Disc Earrings!